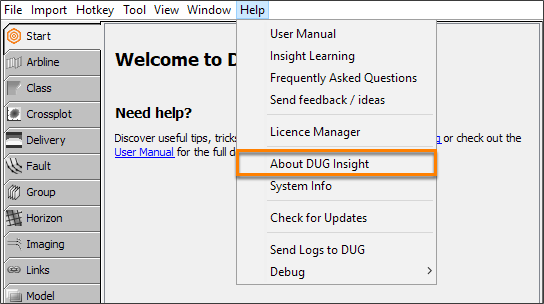 Select About DUG Insight. This will display the software version number, copyright information and Insight's website address. Click on the URL to go to Insight's website. 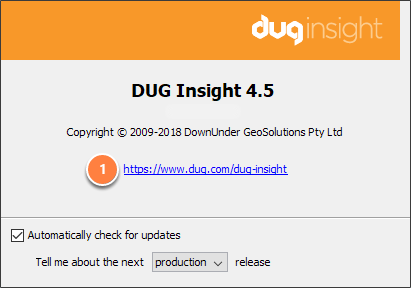 Check the Automatically check for updates box to get automatic updates from DUG. To disable updates, see Disabling Automatic Update Check.